Dylan Fraychineaud: Awww. The Clippers made the playoffs while the Lakers failed miserably, how cute. Their surprising season will end painfully. Harris Ahmadzai: The Clippers are tough and annoying to play against. 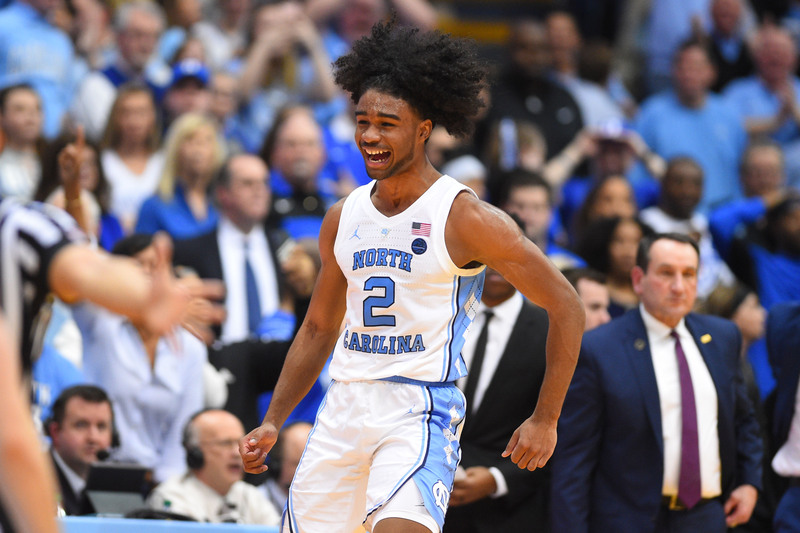 They could keep it close in the second half of one or two games, but their small back court will be an issue. Who guards Durant? Patrick Beverley? Good luck. DF: I’m looking forward to this matchup the most. Houston missed a clear opportunity to seize the No. 2 seed, and now must face one of the hottest teams in basketball. The Jazz — who have had trouble scoring on Houston — are shooting extremely well at the moment. On paper, Houston should win this series. They have James Harden and Chris Paul in the backcourt, and Utah is worried about the health (again) of Ricky Rubio. Despite my better instincts telling me to go with the Rockets, I’m picking the upset. HA: Love this battle of contrasting styles. The league’s second-best offense in Houston against the league’s second-best defense in Utah. We know the Rockets can score and the Jazz can defend, but whichever team is able to compete on the opposite end will end up holding the advantage. Utah’s lack of iso scorers plays in the hands of Houston’s switching defense. The Rockets have no problem switching Tucker or Capela onto any of the Jazz guards — other than Mitchell — and Houston is content with Harden, Paul, and Gordon defending the post. The most even matchup in the first round, I like the Rockets in a close one. DF: Portland blatantly tried to throw its final game of the season in hopes to draw Utah in the opening round. Then, despite implementing a six-man rotation, the Kings failed down the stretch and handed the Blazers the victory they sought to avoid. The loss of Jusuf Nurkic will impact this series a lot. Steven Adams should be able to dominate on both ends of the floor for OKC without Nurkic in his way. Portland is also dealing with a hampered C.J. McCollum. And while Paul George is clearly dealing with his own health issues, Portland’s limitations far surpass OKC’s. Westbrook, George and Adams will be too much for Damian Lillard to overcome. HA: Oh, this one is going to be good. 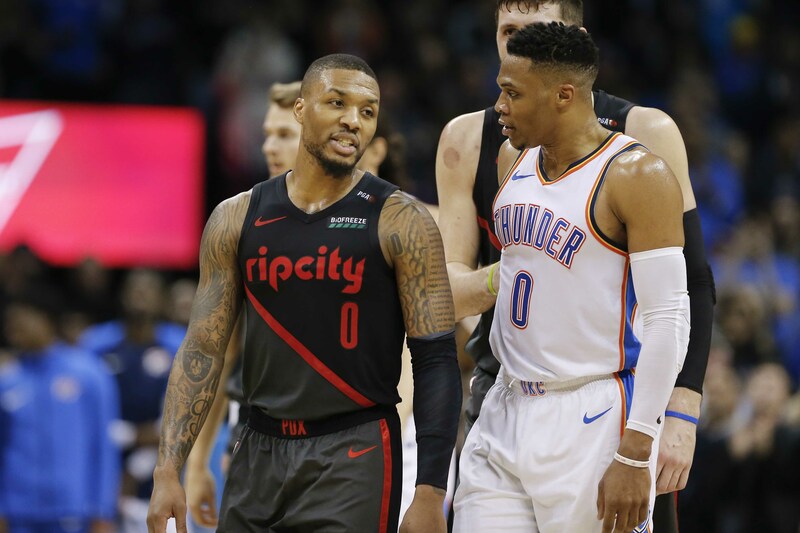 Lillard vs. Westbrook is easily the best individual matchup on the board. I expect them to go back-and-forth all series long, which is a win in Portland’s eyes — anything they can do to keep the ball away from Paul George is a win. No Nurkic hurts, but you could do worse than Kanter/Collins as backups. I was on the OKC train for most of the year, until they fell off the rails after the All-Star break. Lillard is going to remind the league just how good he is. DF: The young pups versus the steely vets. In finishing with the second best record in the West, Denver surprised a lot of folks this year. Nikola Jokic was fantastic all year and has a valid case to be named to the All-NBA First Team. The Spurs’ main edge in this series is their experience (Popovich, Aldridge, DeRozan.) It wouldn’t be a shock to see the Spurs knock off the up-and-coming Nuggets, but they may not have enough firepower. HA: The Nuggets got their wish. 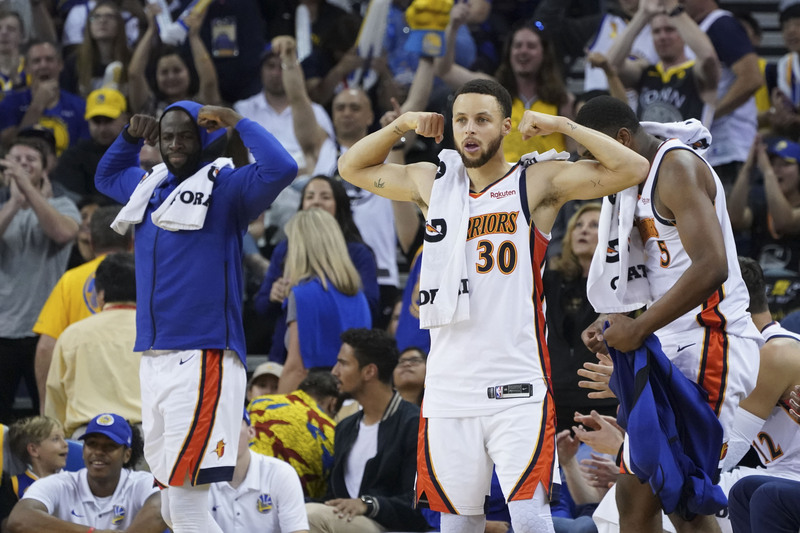 A week of manipulating the standings worked in Denver’s favor, as they were able to avoid both Golden State and Houston until the Western Conference Finals should they get there. The Spurs will be an interesting test. Although this Spurs team doesn’t have the on-floor experience of previous iterations, Gregg Popovich is still the league’s best at game-to-game adjustments and scheming. He’ll make the young Nuggets work for their first series win. DF: Neither team enters this series at full-health. The Bucks will be without Malcolm Brogdon, and Detroit’s Blake Griffin is dealing with a knee injury. Griffin not being at 100% is a huge problem for Detroit. The team would be behind the eight ball even with Griffin firing on all cylinders, which makes his iffy knee a death-nail for the Pistons. Milwaukee won all four meetings in the regular season, and they shouldn’t have much trouble in this set. HA: About a month or two ago, I would have felt more strongly around the idea that Detroit could give their first-round opponent a series. Given the matchup and the way Detroit finished the regular season, I’m not as bullish on their chances. They have zero answers for Giannis. Griffin is their only chance, and they need him to conserve his energy on offense because he’s everything to Detroit on that end. Drummond might end up being unplayable against them entirely. His best asset — rebounding and rim protection — will be mitigated given Brook Lopez’s range. It’s hard to imagine anything but a sweep. DF: The Celtics shambolic performance this season opened them up to a ton of criticism. Conversely, Indiana’s play after losing Victor Oladipo earned widespread praise. Boston got a bit of bad news heading into the series, as they will be without Marcus Smart due to a torn oblique. Despite Smart’s absence, Boston should be able to get past the Pacers. Kyrie Irving and Al Horford have the talent and experience to lead the disappointing C’s to a meeting with Milwaukee. HA: How much is Marcus Smart’s absence going to be felt? He’s the best option for defending the white-hot Bojan Bogdanovic, and his playmaking chops while Kyrie sits will be sorely missed. Jaylen Brown is a decent replacement, but it also shrinks Brad Stevens’ rotation. I think Kyrie and Horford are simply too good to let this series slip away, but the Pacers will make it difficult on their first round opponent just like they did with Cleveland last year. DF: Injuries are the theme of the East playoffs so far, so why should this series be any different? Philadelphia superstar Joel Embiid is questionable for Game 1, due to consistent knee soreness. The Nets’ confidence would increase significantly if Embiid is unable to play. If Embiid is healthy, the Sixers will roll. If he has to miss a few games, Brooklyn is good enough to make this a series. HA: Game 1 will be very telling. If the 76ers are able to win without Embiid, the Nets are toast. 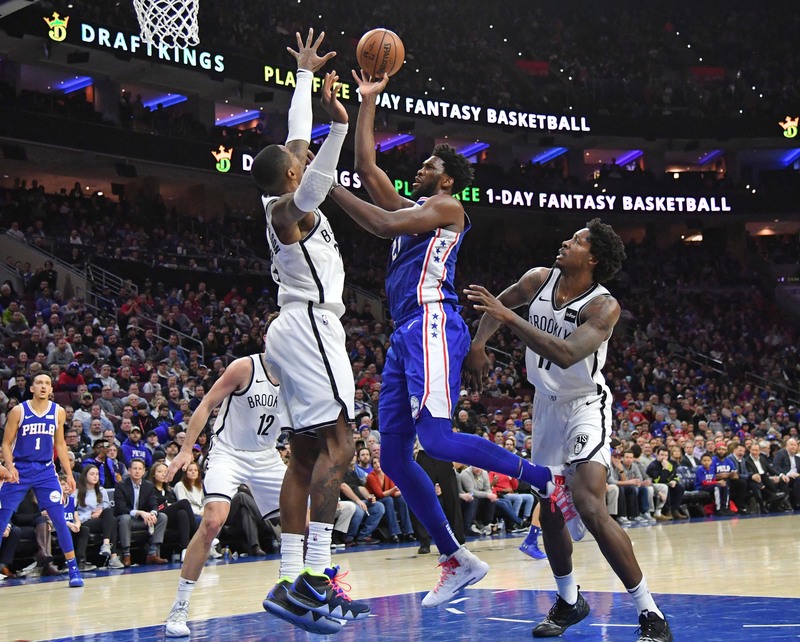 But if Brooklyn can take advantage of the situation and steal the first game, it could put a bit of pressure on Philadelphia and force them to rush Embiid back onto the floor. The Nets are a fun team, but the 76ers have two awesome defenders in Simmons and Butler to throw at Russell. Back-and-forth series ends with Philly closing it on Brooklyn’s home floor. DF: Before the news broke that OG Anunoby had an emergency appendectomy, I would have picked the Raptors in 5. Now, I’m not so sure. The Magic are a terrific defensive team in the half-court, and their athleticism can create problems for Toronto. Nonetheless, the Raptors have Kawhi Leonard. Leonard should impose his will on this series. HA: The Magic have been one of the stingiest defenses in the league since the All-Star break. They’re probably the only team in the field that can contend with Toronto’s size, athleticism, and versatility on that end. But this is the NBA Playoffs. You need a table-setter, and the Magic don’t have a stud pick-and-roll ball handler. The Raptors have two, and two of the better passing bigs in Gasol and Siakam. The Magic can sneak a game in Orlando, but the Raptors roll to the second round.